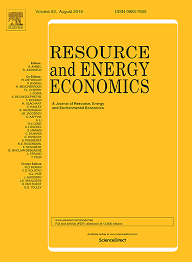 Article publication « Phasing out the U.S. Federal Helium Reserve: Policy insights from a world helium model » by Olivier Massol and Omer Rifaat in Resource and energy economics review. This paper develops a detailed partial equilibrium model of the global helium market to study the effects of the recently decided rapid phase out of the U.S. Federal Helium Reserve (FHR), a vast strategic stockpile accumulated during the 1960s. The model incorporates a detailed representation of that industry and treats both helium producers and the FHR as players in a dynamic non-cooperative game. The goal of each player is assumed to be the maximization of discounted profit, subject to technical and resource constraints. We consider two alternative policies aimed at organizing the phase out of the FHR: the currently implemented one and a less stringent one whereby the FHR would be allowed to operate as a profit-maximizing agent during an extended period of time. Evidences gained from a series of market simulations indicate that, compared to the current policy, a less stringent policy mandate systematically increases the financial return to the U.S. federal budget, always enhances environmental outcomes as it lowers helium venting into the atmosphere, and also augments global welfare in three out of the four scenarios considered in the paper.